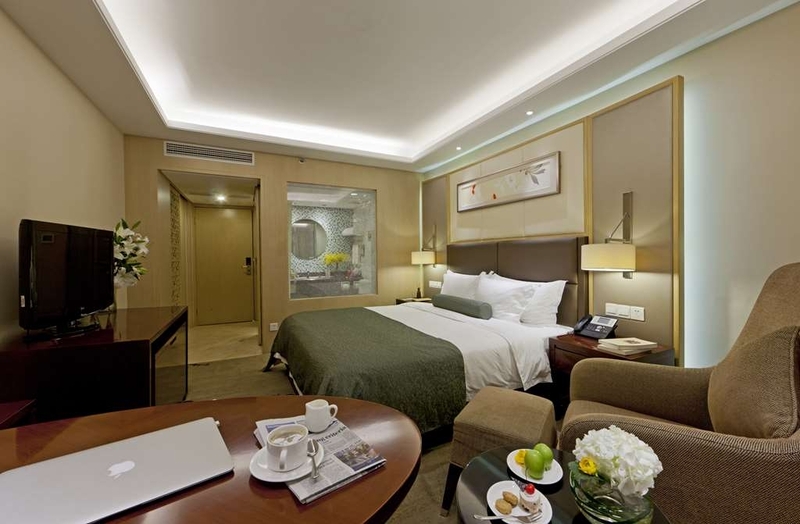 The Best Western Plus Hangzhou Meiyuan Hotel is ideally located in the center of Hangzhou. Come and experience our hotel near the major tourist attractions. Best price guaranteed and exclusive deals. Discover this full-service Hangzhou hotel and experience one of the most beautiful cities in China! 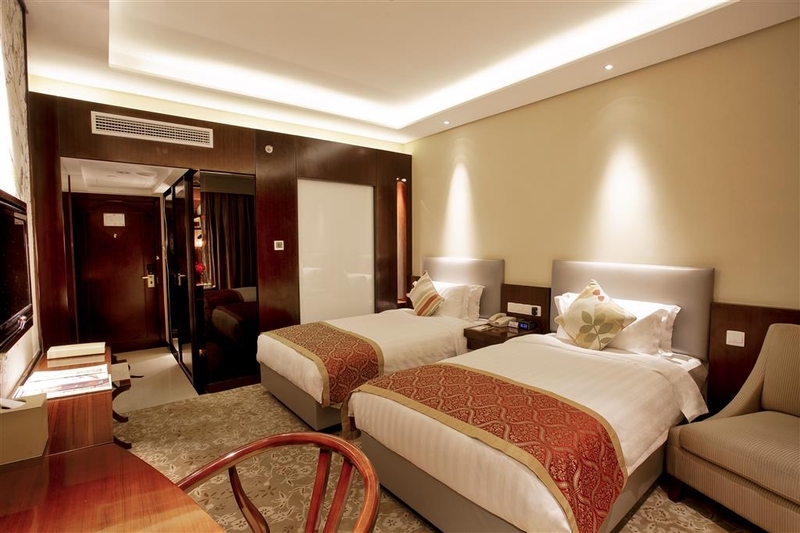 Best Western Plus® Hangzhou Meiyuan Hotel is centrally located in Hangzhou, close to many local attractions and easy access to West Lake, Wulinmen Business Center and several Chinese government buildings. Hotel hosts 198 well-appointed guest rooms and suites. Each room features a refrigerator, cable satellite television with HBO and Internet access. Hotel amenities include a complimentary full breakfast, fitness center, a cocktail lounge, mini-golf practice green, foreign currency exchange and a meeting room to accommodate up to 280 people. Guests traveling on business will find a variety of amenities to conduct business on the road such as conference facilities, secretarial services and computer access. Guests will be less than one and a half kilometers from the Zhejiang Natural Museum, the Cuiyuan Movie World and the Dragon Sports and Tour Center. The Xi'xi National Wetlands Park is situated just a short distance from the hotel. 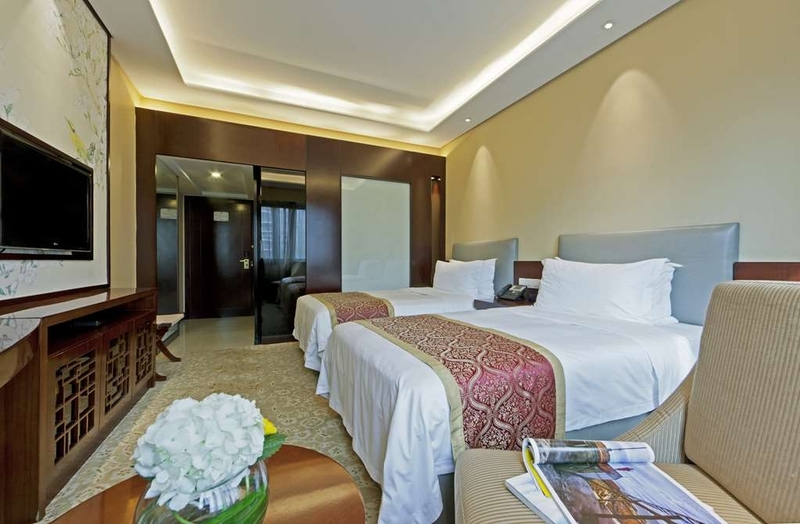 The hotel provides close accommodations for guests visiting Hangzhou for the annual Expo of West Lake Hangzhou and the World Leisure Expo, held every five years. The friendly multi-lingual staff at the Best Western Plus® Hangzhou Meiyuan Hotel is ready to ensure a comfortable stay for both regional and international travelers. 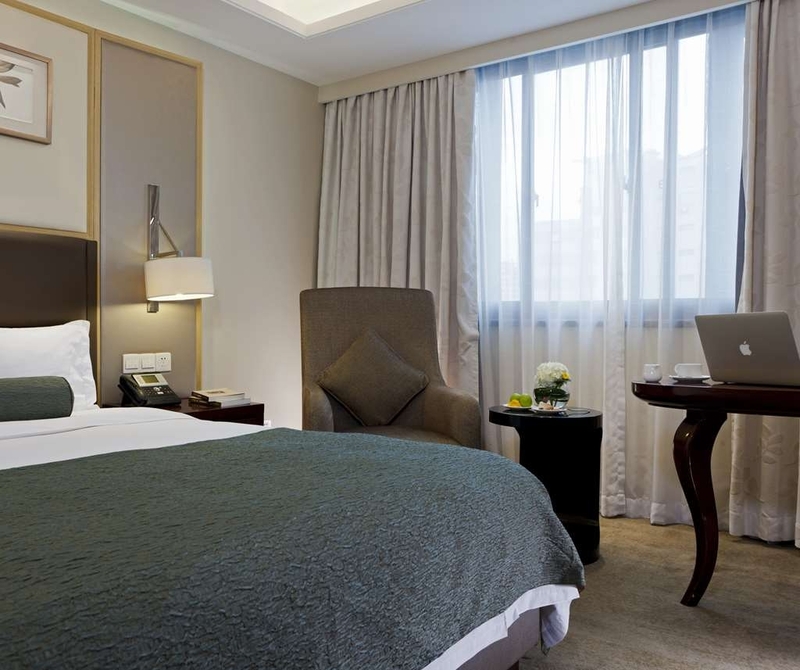 Make a reservation today and save at the Best Western Plus® Hangzhou Meiyuan Hotel! Enjoy your stay! "For business overnight stays only"
Aka, Best Western plus hotel. Cozy hotel with most of facilities for business/overnight stays. Rooms are compact and bathroom are more congested. The main restaurant gives a cozy environment with continental cuisine. One night during business trip. Check in / out little complicated. Room okay. Lot of people at breakfast, not easy to get a free or clean table. Could be improved a little bit in future. Nice was taking the bike to West Lake, only 4km. "Conveniently located with great breakfasts"
Me and my family stayed there during our trip in China. 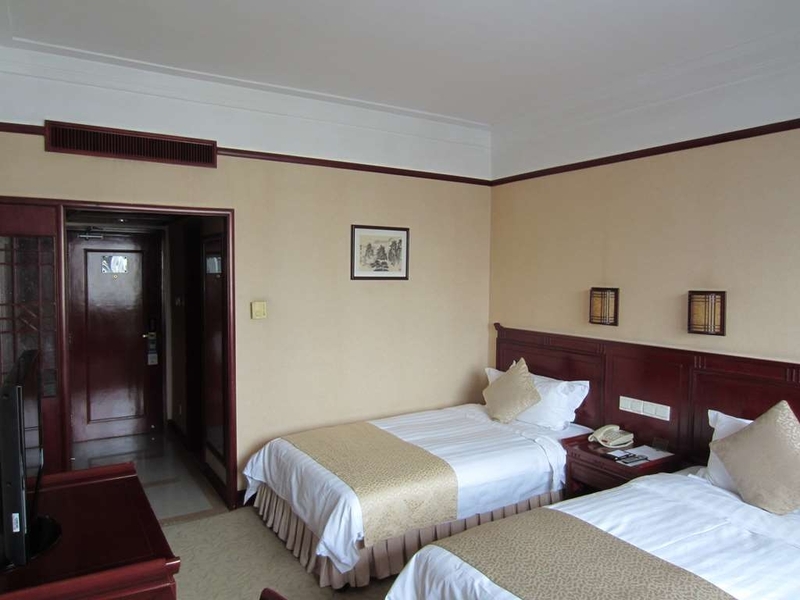 Hotel is conveniently located, near metro station and close to West Lake. Rooms are clean and tidy. Especially we enjoyed breakfasts with big variety of food - Chinese and European. Best Western Hangzhou Meiyuan Hotel is one of the best hotels that I've ever stayed in. The ambiance, location, people, food, hotel staff, and services were all very good. Great place for business visits and meetings. Definitely, recommend to everyone out there! "Very, friendly and helpful staff "
This hotel was above average and located in a very central part of the city. Good place to stay for business. The staff really made an effort to go above and beyond with assisting us with transportation. Stayed atBest Western Meiyuan Hotel for a long weekend with my wife Ling. Can commend the service and the accommodating staff, all very helpful, courteous and considerate (cannot speak too highly of them). Although a little dated, the room was of moderate size though the view at the window was of the a wall and air conditioning plant. That said the room was comfortable and well catered for as regards linens, water and toiletries. Breakfast was excellent, a good choice catering for every taste and plentiful. Transport by way of bus or taxi was convenient for the local sites, albeit the Canal was well within walking distance, more of a hidden secret of Hangzhou. Would certainly look to stay again. This hotel was awful. Stayed here as part of a Wendy Wu tour. The room was tiny. There wasn't even enough sleeve to open our 2 suitcases. Not a bad view though. Breakfast was shockingly bad and the service was terrible. Some Chinese tour groups had been in breakfast before us and left what can only be described as car Mage. They had virtually eaten everything in the ballast room. Dry slow to bring out any more food or clear any tables. The staff seemed a bit bemused by everything! Unless you're on a tour group and you have no choice, don't stay here. "Good location and Good Breakfast"
The hotel is decorated with plum blossom pattern and traditional Chinese feature. That's why I chose this hotel. The room is a bit dark but acceptable. The food choice for breakfast is great. The staff in reception are helpful and polite. The restaurant was GREAT>>>> Very GOOD Food. The only drawback is, though this is a non-smoking hotel and we were on non-smoking floor, people (other hotel tenants) did smoke....and the whole floor had a smoky smell that made you a bit uncomfortable. the hotel should do something for this. Clean room. A little small. Great breakfast buffet. Helpful concierge. They were very accommodating when our expected room in Hangzhou canceled at the last minute. 9th floor has a coffee bar with free beverages and snacks available until 10 pm We would stay again happily. nice elegant hotel, rooms are big, clean with large toilet. located in a nice area. breakfast buffet very large and nice like the buffet meals in the restaurant. wifi should be stronger and they should extend the time of the business center.they should hire more english speakers but the staff is very helpfull. My hubby and I stayed here for three days and were quite happy staying here. The breakfast served were delicious with a lot of variety to choose from, ranging from the Western food to the Chinese cuisine. But if you intend to join the local 1 day trip to see around Hangzhou and Suzhou, then you better don't buy the breakfast as the trip could start as early as 6:00am and you wouldn't be able to enjoy the food. Don't forget the breakfast is quite costly. The hotel is not located in the tourist hot spot centre. Thus, you must be prepared to do a little bit of homework of how to take a public bus or take a cab if you wish to adventure on your own. There are some stalls nearby which sells delicious onion pancake and nice Sizhuan mee. "Very helpful staff, decent room and breakfast. Excellent value for money"
"stay in june 2016 family trip"
staffs are very friendly, hotel nice one. Close proximity to all attractions.. but Rooms can be made little more spacious. Perfect for 2 nights stay......you should go for rooms on the higher floors..
"Fine for a conference but not for tourism"
Our room at the Executive level was good, well appointed with excellent bedding and linen. We had access to the Executive lounge where tea, coffee, cake and fruit are served. Good and extensive breakfast and dinner buffets. Far from all tourist attractions i.e. West Lake and shopping areas. Closest shopping is the very upmarket Wulin Road with designer shops i.e. Gucci, Dior etc. "Comfortable rooms but not a good location"
This was booked as part of a tour package and fine as a place to rest your head. Located on a major road, it was too far from the lake to walk and there was very little surrounding the hotel of interest, including restaurants. We ended up having dinner in the hotel which as okay but not great. I would not choose to stay here for longer than 1 night. "Pretty much a nice hotel, except....."
The outward appearance and entrance and breakfast was great. The staff was also great, as I do not speak Mandarin, and they apparently have a policy that if you do not check in before 4 p.m., they open your room up for other bookings. They gave me an executive suite, because it was all that was left. The room was nice, not great, and I decided to take a bath after a long day of business. The bathroom looked like children had put in the tiles, and there were pieces of wood about to fall off the vanity. Truly a downside. All i can say the hotel is good. Nice and clean rooms, all amenities are there. Friendly reception staff and good breakfast. Didn't really like the restaurant for dinner though.... The "but" here is that the location for tourists is bad. Its a business hotel, good for business people. The tourist hotspots are not within walking distance. On a bad day old street/west lake is 45 min. away by taxi! So if you are in town for business its good. If you are a tourist i would definitely choose a place more downtown! The best thing about this hotel was the staff. They were helpful, polite and very on the ball with customer service. The only down side to the staff was that they had very little English. But we were in China so really, that is fair enough. The bad thing for us was one of the rooms. Both rooms we booked were supposed to be executive rooms but one of the rooms we were given was not an executive room. It smelled of smoke and had a dirty carpet. The other issue was that when we booked, we booked with access to the executive lounge but were not actually given access to the lounge. I stayed in this hotel for two nights in July 2015. Reception area is good for a business hotel. Executive room I had booked was reasonably good & very clean. Toilet was of good size with toiletries provided. There was an electric kettle and cups etc. but supply of tea/coffee pouches & accessories like sugar and milk were not supplied or replenished. During my stay of 3 days 2 nights there was one coffee n one crumbled milk pouch in the designated box for these items. When I requested the house keeping the girl could not understand. Executive Lounge is there but not properly managed. For leisure, West Lake is just 15 minutes by cab. Coming to staff, they are very polite and customer friendly. Front office staff has good working knowledge of English & so some of the restaurant staff. Overall the stay was good. The location is nothing special and the room facility was nothing exceptional. Although everything is presented cleanly. The breakfast menu is plentiful both western and asian standards, and the quality not bad. I had bad experience with Best Western at Beijing last year, but this one in Hangzhou is a pretty good one which has been renovated in 2012. I got a last minute deal at USD 70 for one night at their executive level, as it was quite late so I have to check in at the ground floor lobby. To my surprise, there is only one guy at the front desk busying to answer all kinds of phone calls while helping me for the check in, and it took me more than 15 mins to get my room card. Room is okay and I didnt expect much, as I am just making a stopover in the city. Breakfast is pretty good which were served at the execuitve lounge at the same room level, it is like a semi buffet and food variety is more than enough. However, the food smell is all around the whole floor and along the corridor, I think they have to take about how to deal with this. Overall, I did enjoy my stay and good that they provide free parking as well. I often visit this hotel during business trips and like it even more since the refit. Due to my consecutive visits I get free upgrades to the top floor. The hotel is clean friendly and above all quiet. The hotel is located a short walk from the west lake and other attractions such as the silk market. It is very economical too. I always look forward to going there and expect to be visiting in the next few weeks.